Frozen Diamonds is an innovative new pokies game from Microgaming featuring bonus falls, free spins with WILD and extra free spin wild bonuses. The game is played over 5 reels with 20 paylines and includes icy cold symbols including purple, green, red and orange gemstones and K, Q, J, 10. The wild is depicted by the colorful sphere and replaces other symbols, completing a winning combination. You can enjoy the Frozen Diamonds free pokies with no download required or sign up to these top rated online casinos for real money play. 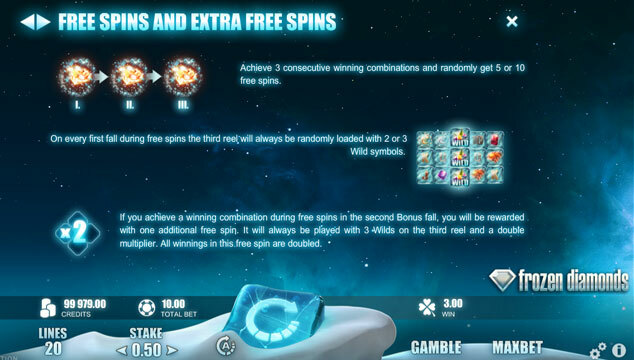 The Frozen Diamonds pokies game is certainly not short of excitement and bonuses. 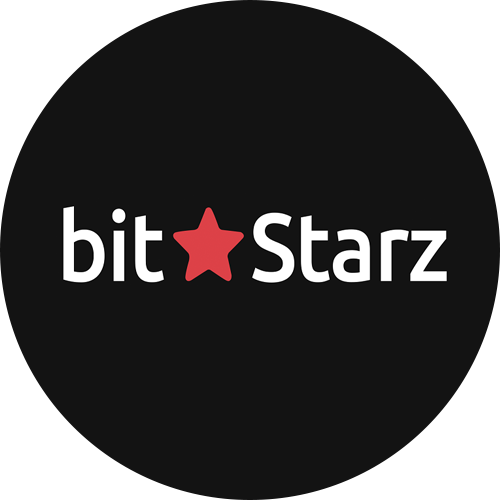 Just like the best Bitcoin pokies you will find free spins and added features that provide extra payouts and winning potential. Being an online pokies the payouts are high, averaging at 98%. Bonus Falls – On the first fall a normal payout is achieved, the winning symbols will disappear dropping down further symbols. Hit another win and more symbols will disappear. On your third successive win and 3 to 5 free spins are won. On every fall during free spins the 3rd reel will be randomly stacked with 2 or 3 wild symbols. If you achieve a winning combination during the free spins bonus in the second fall players will be rewarded with an extra free spin with all wins doubled. It will also guarantee that the third reel will be full of wild symbols. If you are lucky enough the free spins can go on for a very ling time in this game. Overall Frozen Diamonds is a very addictive game with some very good winning potential, we rate the slot highly because of it’s easy to trigger free spins and bonus falls feature. You can try the free no download game above (just wait for the screen to load). Alternatively real money casino pokies can be enjoyed at the following casinos..